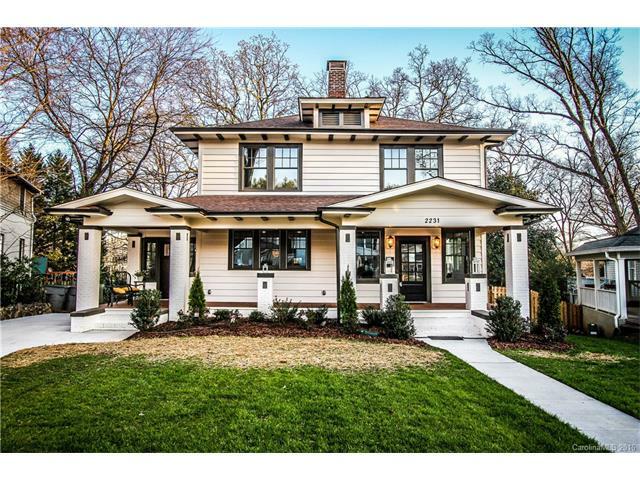 Beautifully restored Historic Dilworth craftsman a short stroll to some of Dilworth’s most popular attractions. Home boasts a covered, double front porch & sitting area, sunroom & rear deck, oversized lot with convenient dual entrance driveway & wine room. Grand formal living & dining rooms, each with wood-burning fireplace. Chef’s kitchen with KitchenAid Architect Series appliances & built-in island seating. Owners retreat with elegant master bath, generous walk-in, and attached sitting room.